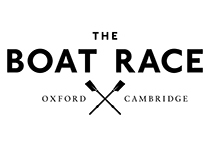 The Oxford & Cambridge Society of Philadelphia invites you, your families and guests to a viewing party breakfast of The Boat Race, one of the oldest and most storied rivalries in all of sports and arguably the world’s most famous rowing race. Phoenixville is on the rise! 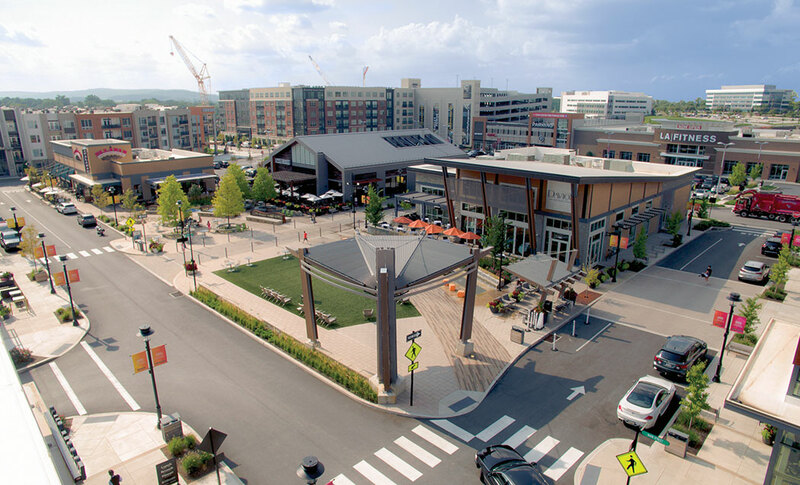 Come check out the town and enjoy Ivy networking in the suburbs. 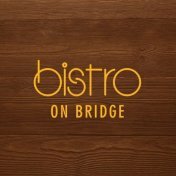 Meet upstairs at Bistro on Bridge (cash bar). Feel free to bring friends!!! Please RSVP. Join us for a happy hour event with young alumni from clubs across the city on Wednesday, March 27th, from 6:30-8:30 at City Tap House Logan (2 Logan Square, Philadelphia). Come to mix, mingle, and meet new people. Feel free to bring friends! 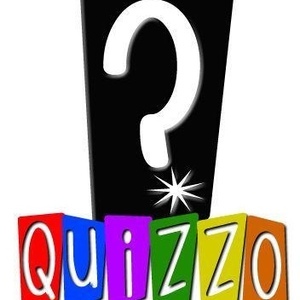 Please join us for a fun filled evening of Quizzo with teams from Yale, Harvard, Princeton, Cornell, Dartmouth, Columbia, Brown, Penn, & Cambridge!!! 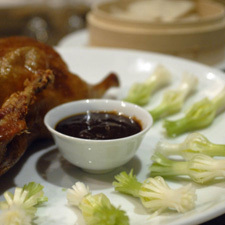 Enjoy a curated Chinese dinner and unique cultural education event hosted by Margaret Kuo, famed restauranteur and HKS graduate, at her restaurant in downtown Wayne on March 7th! After returning to the top of the Ivy League standings last year, the Crimson look to defend their share of the crown against the co-title holder Quakers. Come out and cheer our team at the Palestra on February 16th! Order tickets by Feb 12th. Going to the Game. Not going to the game. 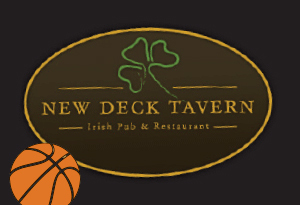 Either way join other alumni and friends for a pre-game happy hour at New Deck Tavern (3408 Sansom Street) from 4pm-6pm. 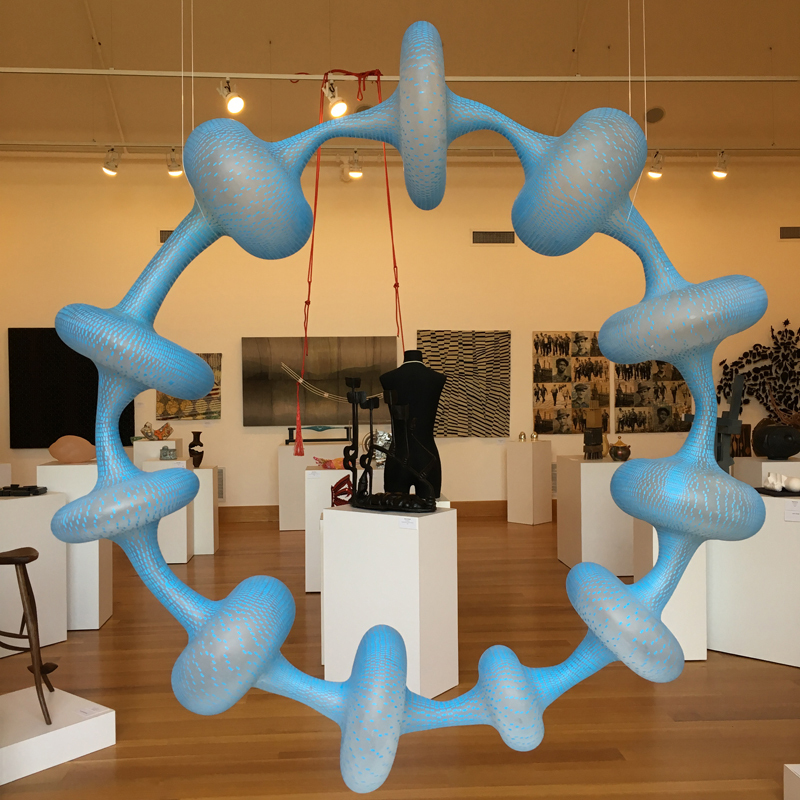 On displayat the Wayne Art Center, Craft Forms is internationally recognized as one of the premiere contemporary craft exhibitions. Please join us for a visit to this exquisite exhibit. Free event. Friends and family welcome!!! Come ring in the the New Year with other Ivy alums, young and old, at the 5th Annual All Ivy Holiday Party on January 16th at The Bourse. Open to all alumni and friends!!! 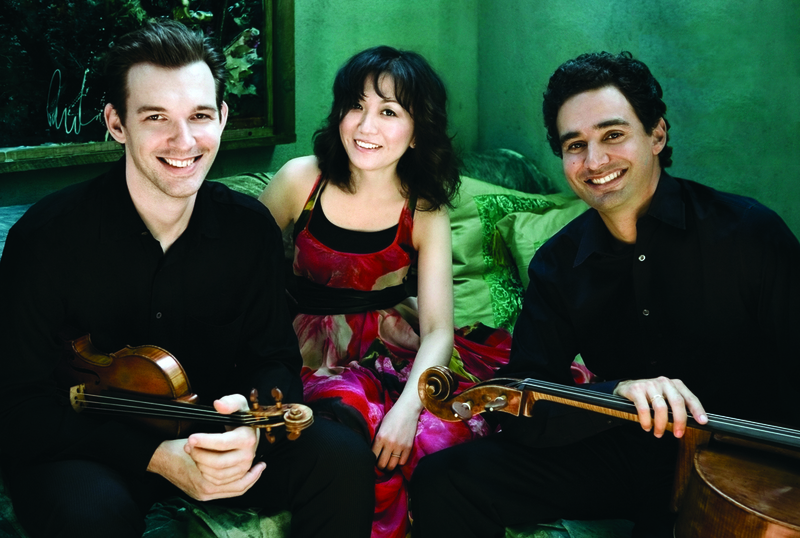 Join Harvard University alumni for an evening of chamber music with fellow alumnus Raman Ramakrishnan (AB '98) when the Horszowski Trio returns to the Perelman Theater with former Principal Violist of the Philadelphia Orchestra: Roberto Díaz. Can't make it to Cambridge this year? 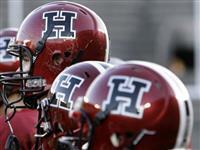 Come show your Crimson pride and join local fellow Harvard alums in watching The Game in Center City!!! Join us for a Harvard Alumni in Healthcare kickoff event on November 14th and hear honored guest and speaker, Jonathan Epstein, Chief Science Officer at Penn Medicine, talk about "Daring to Doubt Darwin: Discoveries of the 21st Century." Come cheer on the Crimson as they take on the Quakers at Franklin Field on Saturday, Nov. 10th. Join other alumni and friends before the game at the Club's tailgate party in the "Law Lot" at 34th & Chestnut Streets. Experience some of the best hiking in our region. 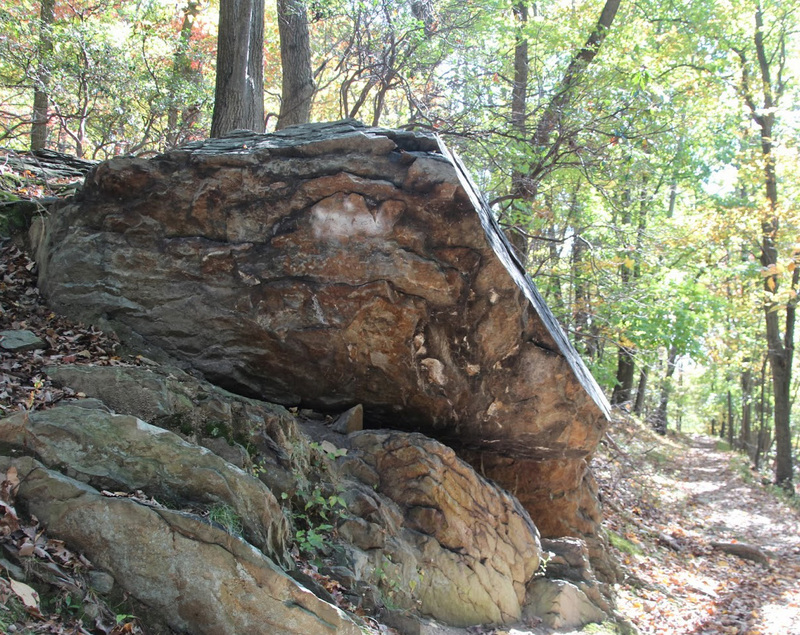 Mount Misery in Valley Forge Park offers varied hiking terrain past historic farm houses, Valley Stream, ruins, Tredyffrin's historic Knox Covered Bridge, and forest flora and fauna. Join HBS Healthcare Alumni Association, in collaboration with Bryn Mawr College's Leadership, Innovation & Liberal Arts Center, for a panel discussion about what a free lance/gig talent model means for today's and tomorrow's workforce. 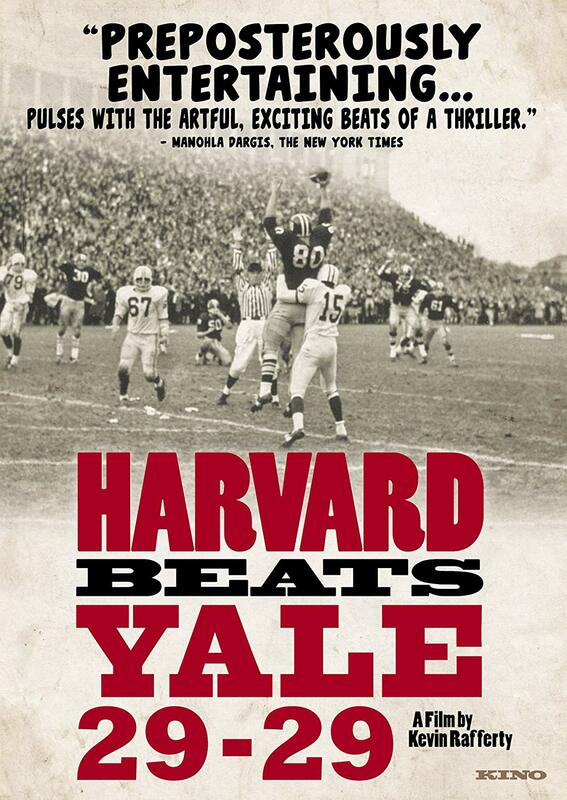 Woodmere Art Museum is hosting a free screening of the film HARVARD BEATS YALE 29-29. Woodmere will host a wine and cheese reception before the event and invites members of the Harvard Club of Philadelphia and Yale Club to attend. 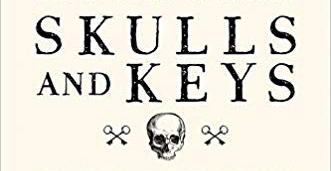 You’ve almost certainly laughed at Scovell’s jokes—you just didn’t know it until now. This is one event you won't want to miss!!! Come hear an exclusive fireside chat with William Thomas, President (Retired), Western Union. Put aside the day's headlines for a more personal, intimate reflection on globalism's impact on international finance, education and financial literacy. Due to storm damage to the venue, this event has been postponed to the spring. 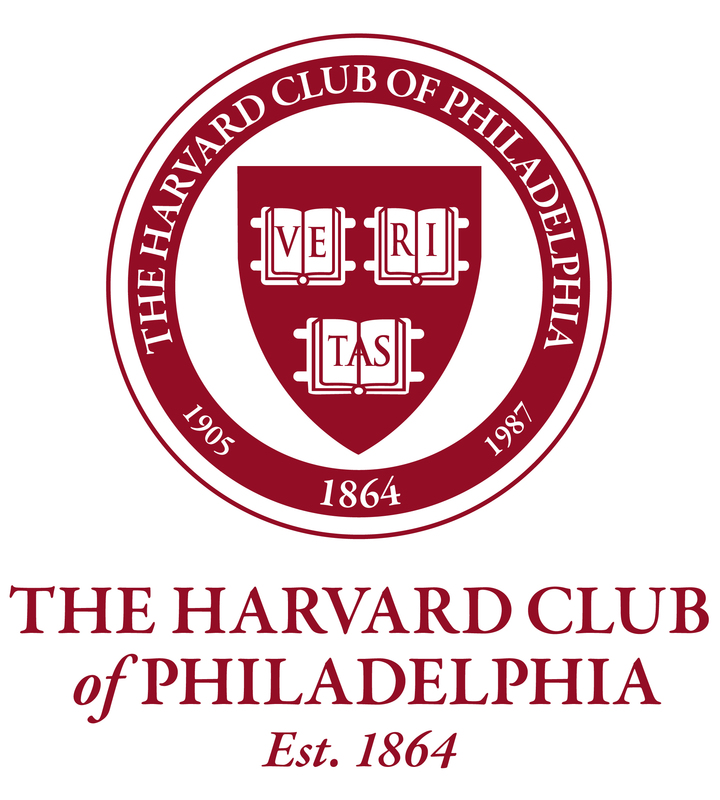 Have you been curious about the Harvard Club of Philadelphia? Wondered who attends events? Who can get involved? Join us on Monday, September 17 at Positano Coast for an informal gathering with the club board, current members and curious alums. My latest trip to Cambridge was in May, when I attended my 10th-Year college reunion and served as a Marshal at Commencement. I arrived at Harvard with many emotions - much excitement, but also some uncertainty about what to expect. As I found out . 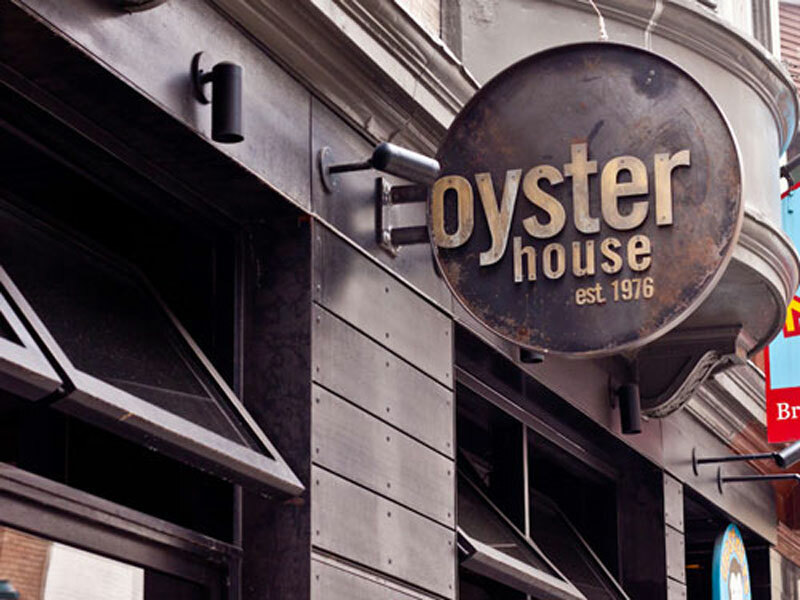 . .
Join young Ivy League alumni (and friends) from across the city over drinks and oysters at the extremely popular Oyster House Happy Hour! 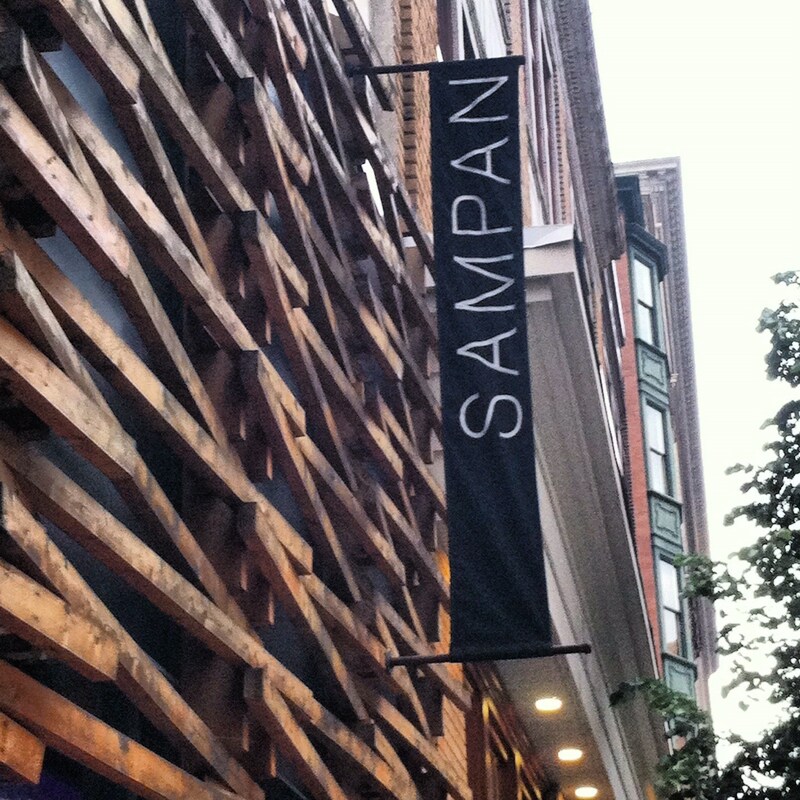 Join us for a multi-club young alumni happy hour event at Sampan on Tuesday, July 24th ! $4 appetizers, house wine, beer and a designated cocktail. Meet in the Graffiti Bar area. Give back to our community!!! Come volunteer at Cradles to Crayons and pack donated items for distribution to children in need. Families welcome. Space is limited - Sign up today!!! It's a day of outdoor activities followed by an evening of great food, an unlimited assortment of award-winning craft brews, door prizes (the grand prize is a 100% refund of your fee), and a highly competitive INTER-IVY-LEAGUE-SCHOOL BILLIARD TOURNAMENT. 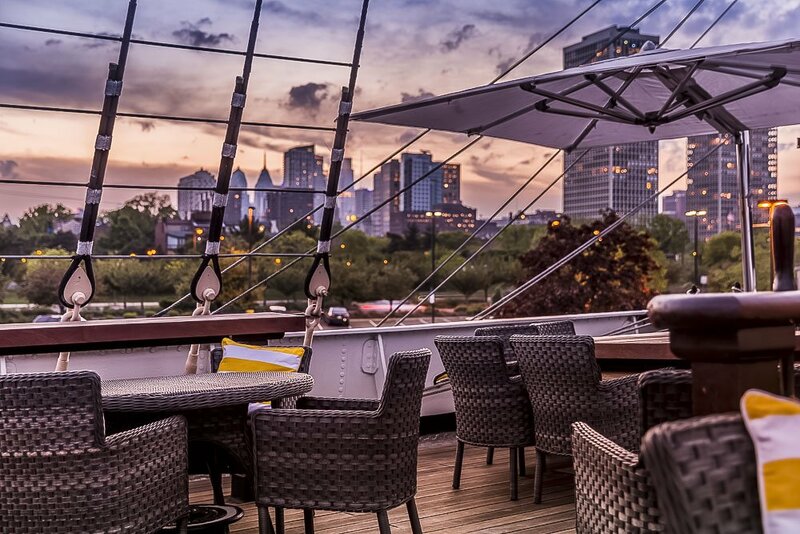 Join alumni from other schools at The Deck Philly for an All Ivy Happy Hour. Drink, relax, and lounge on the beautiful Moshulu deck with alumni and friends to see spectacular views of the city and riverfront. Friends and family are welcome! 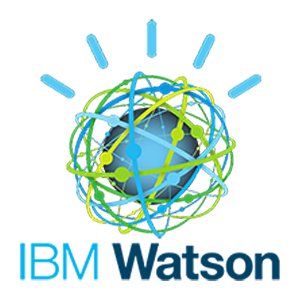 Remember Watson, the IBM computer who played Jeopardy, and introduced Artificial Intelligence (AI) to the public? What is happening now? 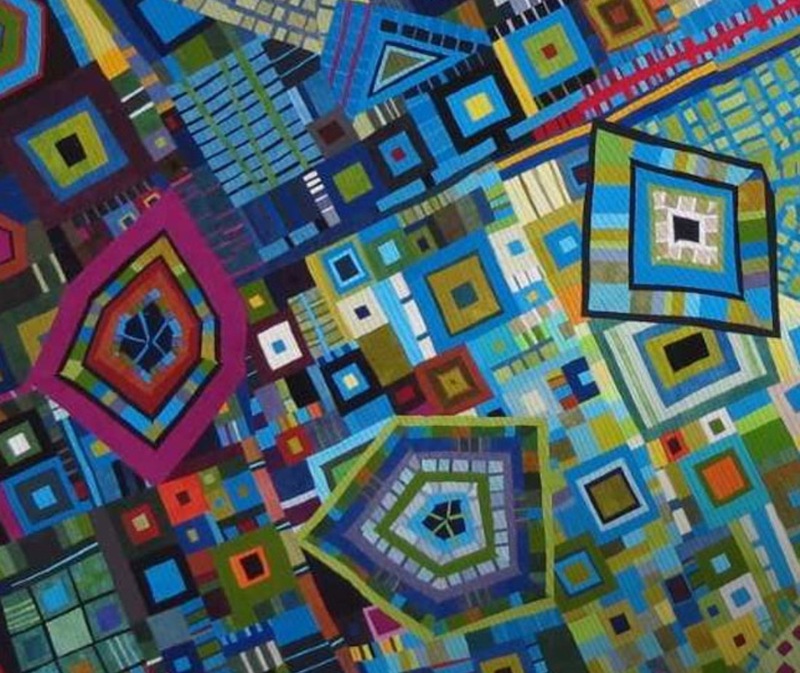 We are on the cusp of the next big shift in “cognitive technologies” . 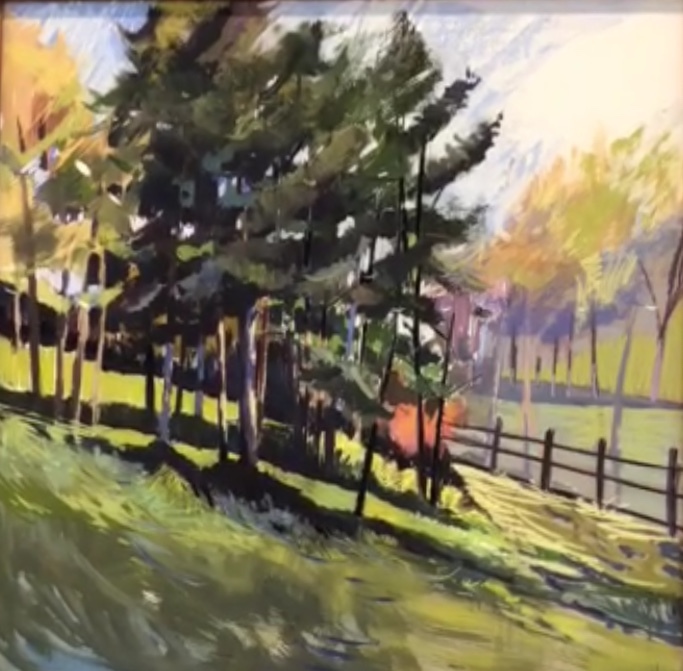 . .
Join us for a visit to this nationally acclaimed show, unique for its professional presentation of open-air paintings of local Pennsylvania scenes by nationally invited artists., followed by a light fare reception. The Dartmouth Club of Philadelphia is organizing a multi-club happy hour on Tuesday, May 22nd with alumni clubs across the city at Mission Taqueria. 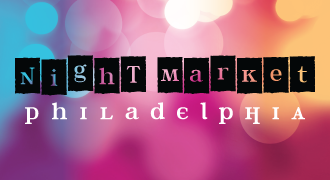 Thursday is the first Night Market in Philadelphia for Summer 2018. 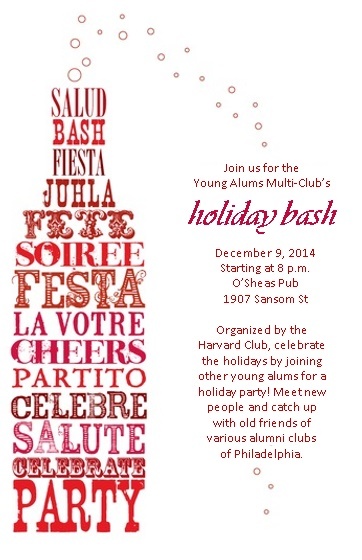 Come out and join fellow Ivy alumni and friends for a night of food and fun at this Philly tradition in Burholme. Experience some of the best hiking in our region. Mount Joy in Valley Forge Park offers varied hiking terrain past historic farm houses, and forest flora and fauna. 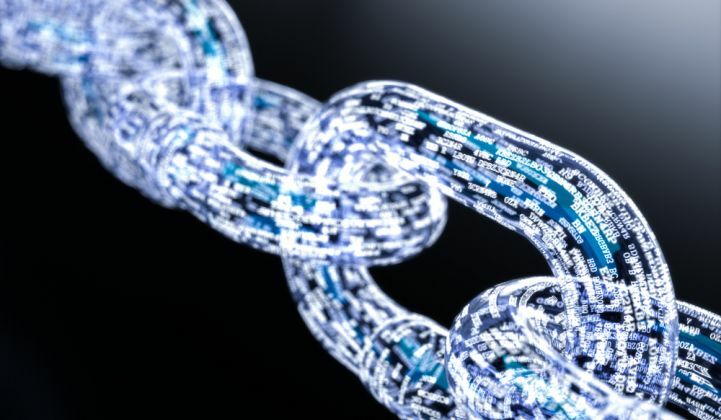 Blockchain: Paving the Last Mile to a Digital Future? The word sounds brick and mortar, but blockchain is already changing the world. Come hear what all the hype is about from path breaking industry advisers and analysts. Join local classmates for an early 25th reunion celebration!!! 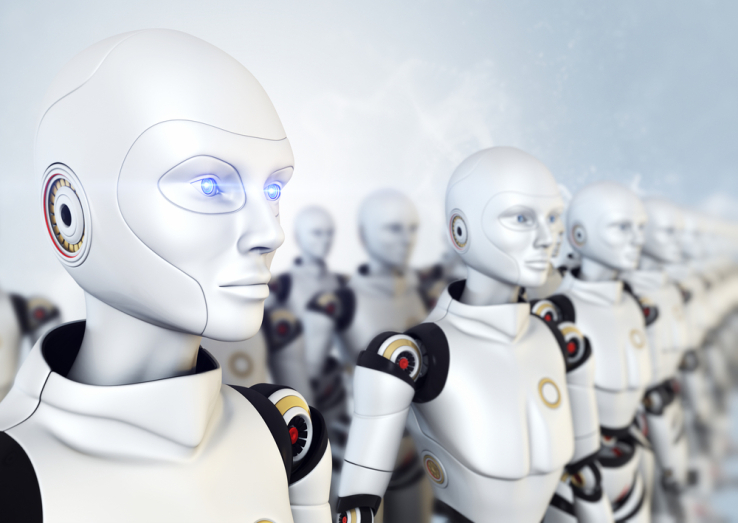 To learn about the trends in workplace automation and technology, and key competencies that executive recruiters seek in front-line job candidates, please join us for a panel discussion on April 20th. Join your fellow Harvard alumni for a spectacular dinner at Restaurant Cerise in Bryn Mawr. Chef/Owner Ben Thomas has been voted 2017 Best Chef on the Main Line for the third year in a row, while the restaurant, which features contemporary European . . . 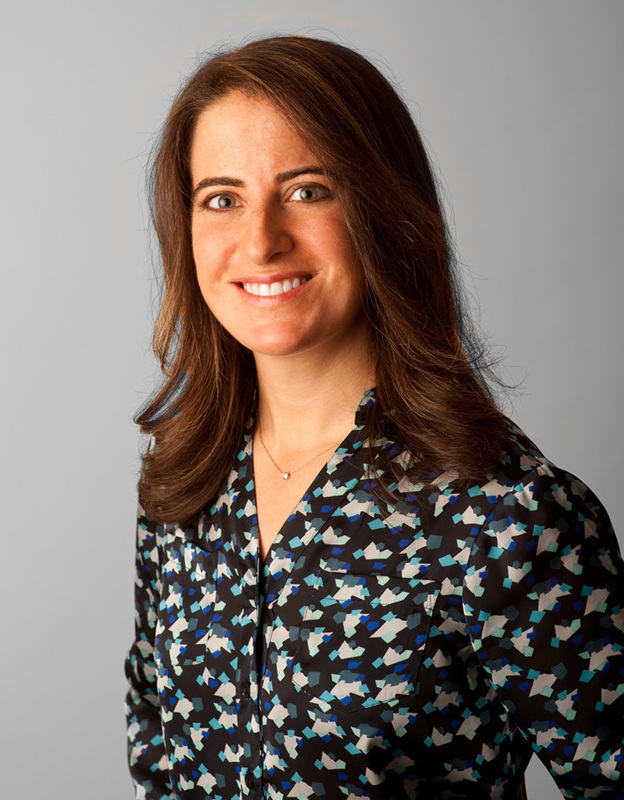 The Wharton Women's Network invites Harvard Club members to a fireside chat with Sarah Hammer. She will share her experiences in the industry, her work on policy during the current and former Presidential Administrations, and her insight into . . . 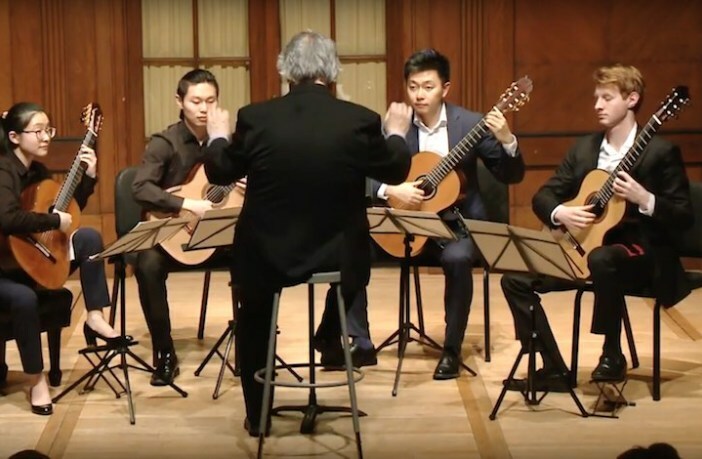 The Curtis Student Recital Series is one of Philadelphia’s hidden gems. These are first class performances in an intimate setting. 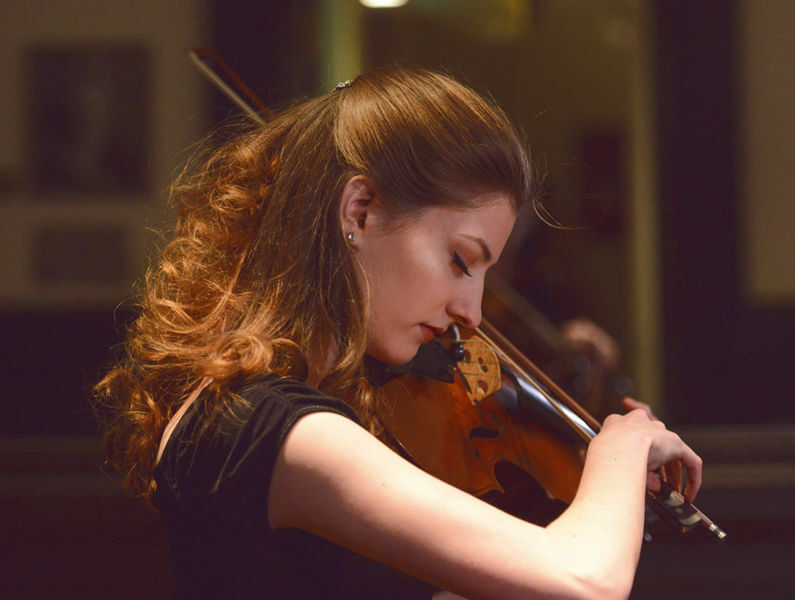 Join us for a Happy Hour at the PARC Restaurant before attending the recital around the corner. Please mark your calendars for the rescheduled Harvard pre-reunion event in Philly (Class of 2008 + adjacent years and friends!) -- note it is THIS THURSDAY! Hope to see you there! 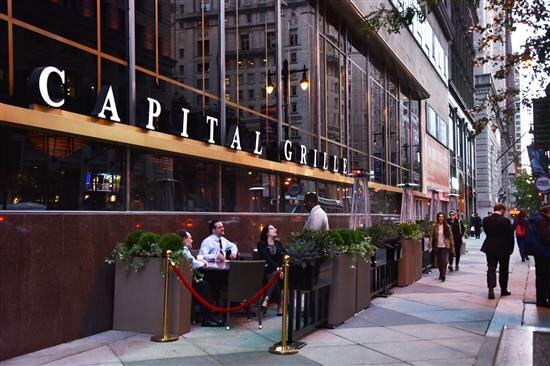 Please join us on Thursday, March 29th at the Capital Grille in Center City for happy hour from 5:30 to 7:30 PM. Mix and mingle with alumni and friends. Open to all ivies (and their friends and family). This is an event you won't want to miss! 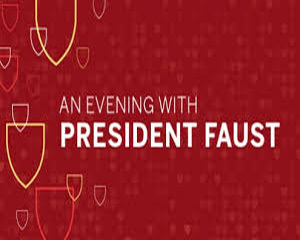 Join us as we gather together to celebrate the Philadelphia alumni community with President Drew Gilpin Faust, fellow alumni, and friends on Friday, March 9th. Getting pumped for Harvard basketball playing at The Palestra in the Ivy League championships? Come celebrate with College alumni from Philadelphia at an event with other classes this Thursday at Garces Trading Company. The Crimson looks to return to the top of the Ivy League standings after five conference titles over the last seven years. Come out and cheer our team as they take on the Quakers at the Palestra on February 24th! 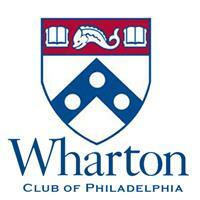 Please join us for a joint event with the Wharton Alumni Club of Philadelphia. 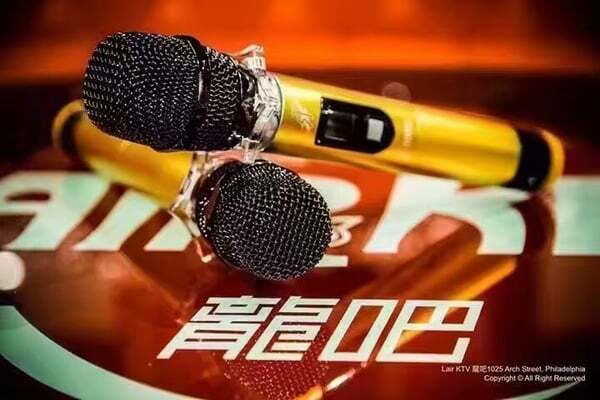 The club is reserving a private karaoke room with appetizers included, so come out to Lair KTV and meet other young alumni in the area while belting out your favorite songs! 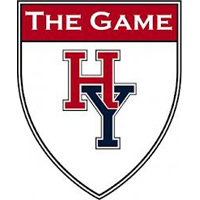 Teams from Yale, Harvard, Princeton, Cornell, Dartmouth, Columbia, Brown and Penn will compete in an all-ivy quizzo match at the Racquet Club of Philadelphia. 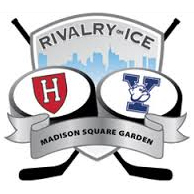 Join us and help the Harvard Team acheive victory at the All-Ivy Quizzo Night!!! We are going to Killington, Vermont!!! The numbers say it all: 7 mountains, 22 lifts, and 73 miles of trails. Plus the best nightlife in the East!!! Our motorcoach will depart Philadelphia, PA and make pick-ups in Princeton, NJ and Morristown, NJ. Please join the alumni, young and old, from the Harvard, Cornell, Princeton, and Yale for a festive holiday party this season at Panorama Restaurant. Open to all alumni and friends!!! 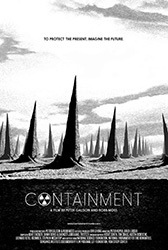 Join us to hear Dr. Porges (AB '00) speak on emerging issues in national security. 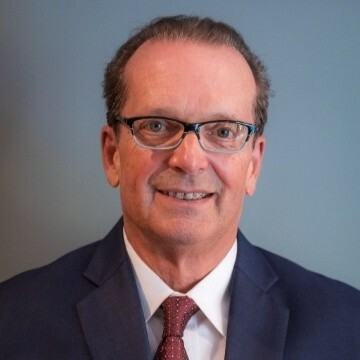 Dr. Porges served as a Foreign Policy Advisor for the Office of the Secretary of Defense and a counter-terrorism policy advisor for the Treasury Department. 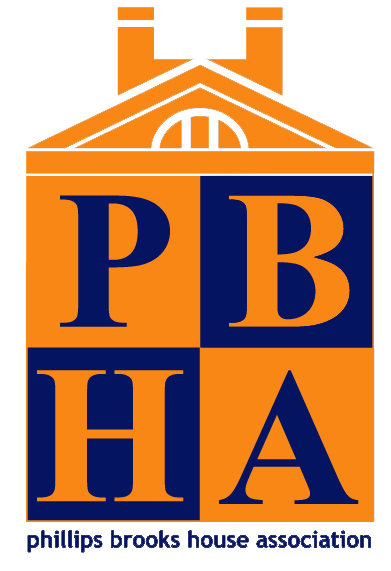 You are warmly invited to join Phillips Brooks House Association (PBHA) students and staff next Saturday, December 2nd from 4:00pm to 6:30pm for heavy appetizers and drinks at D'Angelo Ristorante reception area. Come meet current student leaders and . . .
Come show your Crimson pride and join local fellow Harvard alums in watching the 134th playing of The Game in Center City!!! 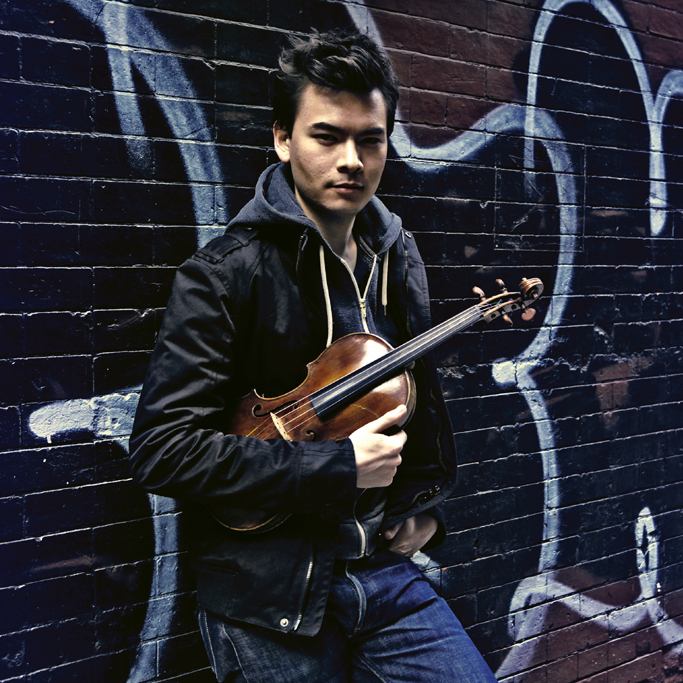 The Philadelphia Chamber Music Society invites Harvard Club members to hear the Stefan Jackiw (AB '07), violin, and Anna Polansk, piano, perform at the Kimmel Center's Perelman Theater on Sunday, November 12th. 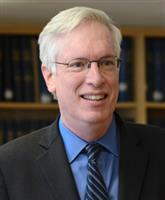 Please join us as we celebrate Harvard Medical School’s new dean, George Q. Daley, AB ’82, MD ’91, PhD. Dean Daley will outline his vision for the School and discuss how HMS will serve as a catalyst for future innovation in health care and medicine. Join us for a special session on interviewing prospective students with Alexis Machabanski from the Harvard Admissions office on October 19th. Please join us in welcoming the Class of 2017 to Philadelphia this Fall at the Continental Midtown!!! 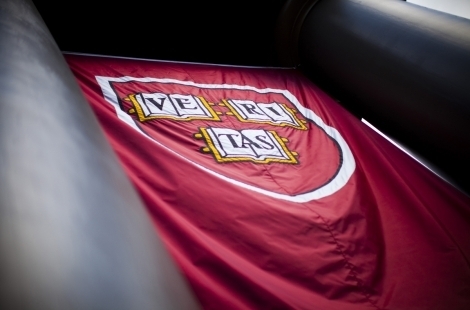 These events are a fun, informal way for recent graduates who may be new to town to connect with other local, recent Harvard alumni. Update coming soon . . .
2017 Fall Opener with Martha Tedeschi, Director of the Harvard Art Museums. 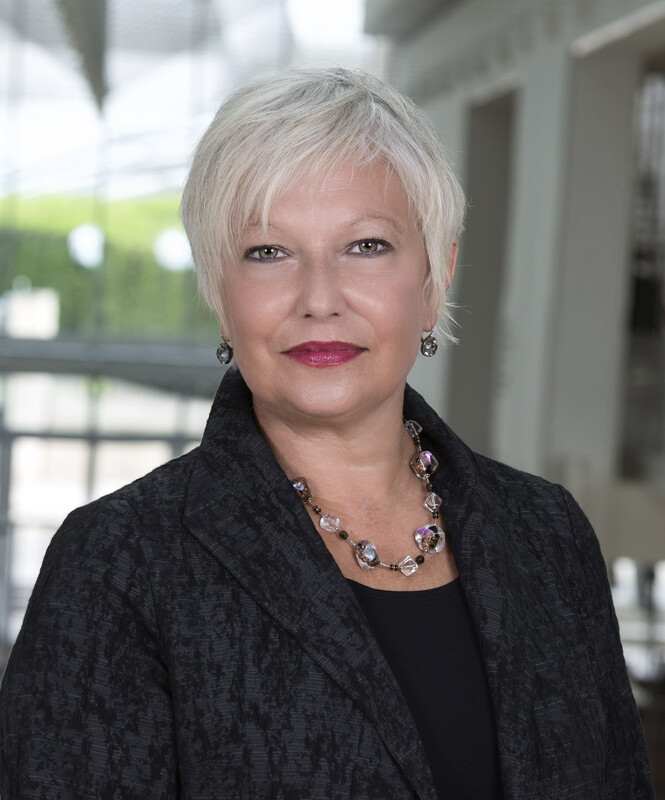 Join us for an exciting evening with Martha Tedeschi, Director of the Harvard Art Museums, for an intimate discussion about Harvard's vision for the museums and the role of the arts in the college curriculum and in society at large. 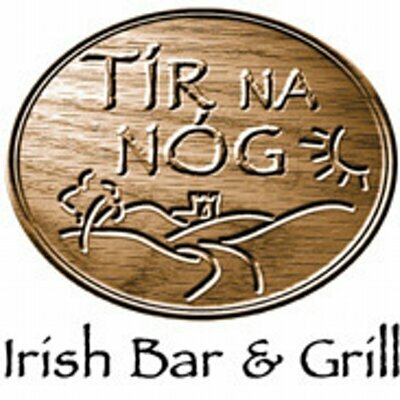 The location for August multi-club get together has been changed to Tir Na Nog at 1600 Arch St.
Crimson of the last decade! You know who you are. Come meet your peers along with some recent Yale grads. It's a Happy Hour meet and mixer at Cafe Cret 16th and the Parkway. First twenty to register get a free drink ticket!!! 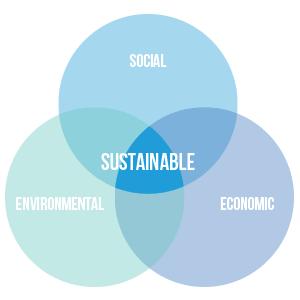 The significant growth of impact investing has created a paradigm shift in the traditional financial industry in which technology and capital markets are used towards generating social and environmental impact while maintaining a profitable outlook. Delaware Chancery Court Chancellor, Andre Bouchard, addresses the HBS Philadelphia and Delaware Harvard Clubs plus invited guests in Wilmington on May 10. 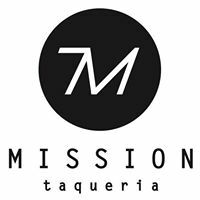 The next young alumni multi-club get together is Thursday, April 20th from 5-7PM at Mission Taqueria (second floor). Address is 1516 Sansom Street. 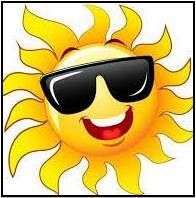 Drink specials include $3 Coronas, $6 - Margaritas, Sangria, & wine as well as $2 Tacos. 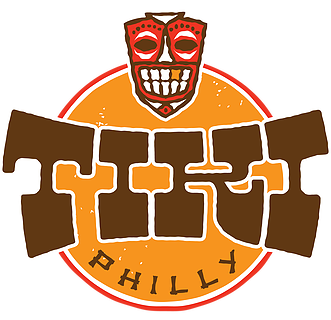 The next young alumni happy hour is Wednesday, March 29th, 6:00-8:00 at Tiki, 102 S 13th Street, Philadelphia. Join alumni from clubs across the city including Harvard, Princeton, Colgate, Brown, Yale, Penn, Cornell, Columbia, Stanford and more! The Crimson looks to return to the top of the Ivy League standings after five conference titles over the last six years. Come out and cheer our team as they take on the Quakers at the Palestra on March 4th! 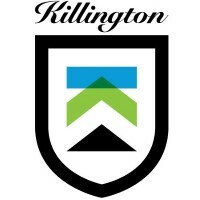 This year's All Ivy Ski/Snowboard Trip will be to Killington, Vermont. The numbers say it all: 7 mountains, 22 lifts, and 73 miles of trails. Plus the best nightlife in the East!!! Please join the alumni, young and old, from the Harvard, Brown, Cornell, Dartmouth, Penn, Princeton, Stanford, Yale and more for a festive holiday party this season at One Tippling Place, 2006 Chestnut Street from 6:30-8:30pm. Can't make it to Cambridge this year? 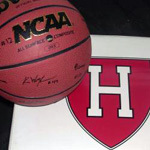 Come show your Crimson pride and join local fellow Harvard alums in watching The Game in Center City. 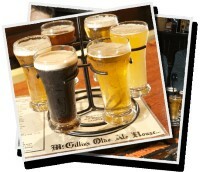 The next young alumni happy hour is Wed., Nov. 16, 5:30-7:30pm at McGillin's Old Ale House. Join alumni from clubs across the city including Harvard, Princeton, Colgate, Brown, Yale, Penn, Cornell, Columbia, Stanford and more! 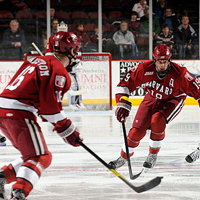 Come cheer on the Crimson as they take on the Quakers at Franklin Field on Friday, Nov. 11th. Join other alumni and friends before the game for a tailgate reception in the "Law Lot" at 34th & Chestnut Streets. 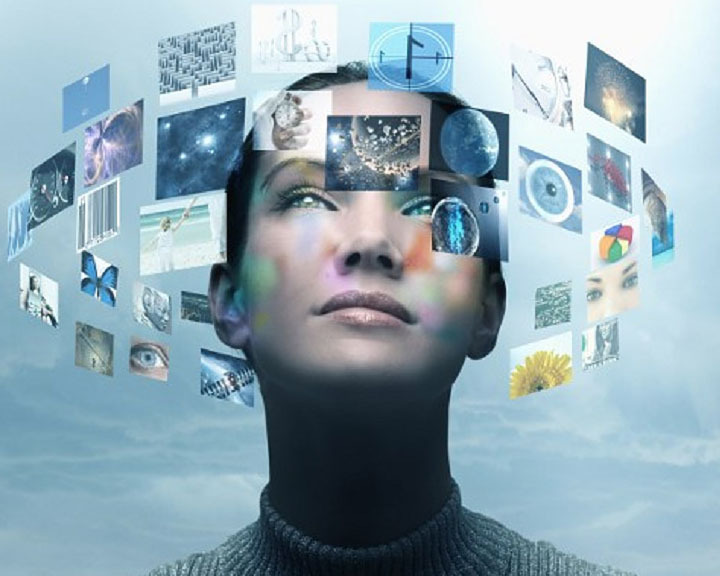 The coming demand for content and Virtual Reality (VR) experiences will be staggering in the next few years. Come to the rooftop bar at the Hotel Monaco, and try a VR Headset before the presentation! 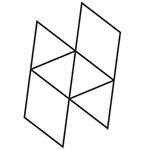 The speakers are young entrepreneurs based in NYC . . 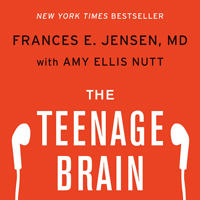 Renowned neurologist Frances E. Jensen will discuss her New York Times Bestselling Book, “The Teenage Brain” and be interviewed by prominent Clinical Psychologist, Lucy Faulconbridge. Join us for a multi-club young alumni happy hour event on Wednesday, October 26th, with alumni clubs across the city, including Harvard, Princeton, Colgate, Brown, Yale, Penn, Cornell, Columbia, Stanford, Georgetown, and more. 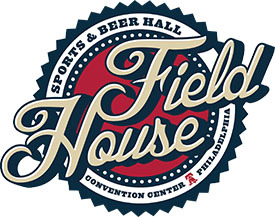 Please join us in welcoming the Class of 2016 to Philadelphia this fall at City Tap House Logan Square. 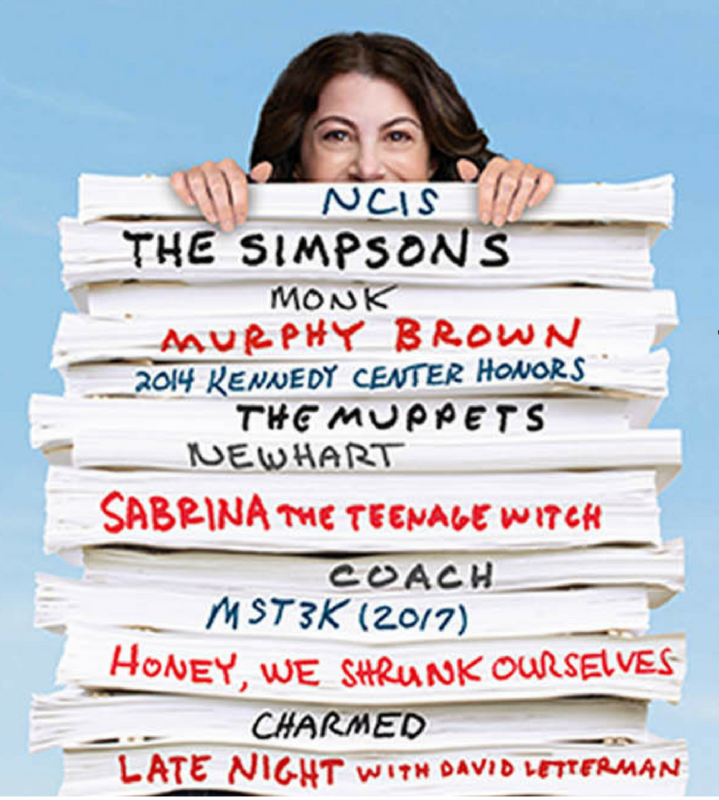 These events are a fun, informal way for recent graduates who may be new to town to connect with other local, recent Harvard alumni. 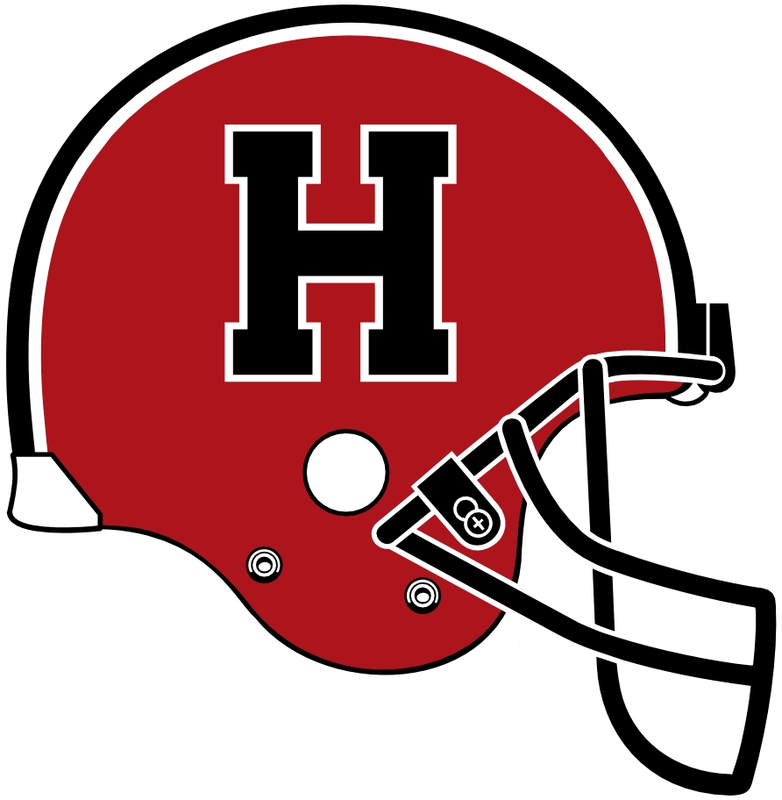 Join the Harvard Club of Princeton, for an action-packed day of football as our beloved Crimson take on the Princeton Tigers. Exclusive Tour of The Museum of the American Revolution on October 19th. The Wharton Club of Philadelphia invites Harvard Radcliffe Club members to join them for a unique tour of the *construction* of Philadelphia’s newest premier cultural institution – the Museum of the American Revolution. If you are interested in starting your own company, competing in emerging technologies, or running a global business, Matt Wallach’s incredible story of building Veeva Systems is a can’t miss event! 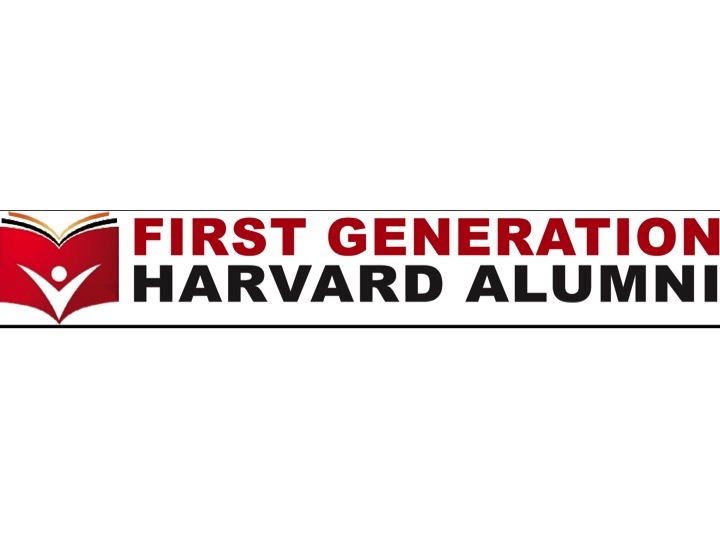 We invite you to join our growing community of Harvard alumni interested in supporting students who are the first in their family to attend college. Join us for this season's Fall Opener at the Acorn Club for a conversation with Kermit Roosevelt about his recent book, Allegiance, set in the time of the Japanese internment and its relevance to our current political climate. Please join us for a comprehensive and enjoyable journey through Spanish wine country including 7-8 eye-opening (and palate watering) examples of Spain’s finest along with light refreshments. Dear Fellow Alumni - Once again, The Harvard Yard is full of energy and spirit as students assemble in Cambridge. Many of us have said that the best part of our time at Harvard was the interaction with other students . 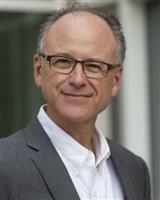 . .
Join us on the eve of the Democratic National Convention to hear Daniel Hopkins (A.B. 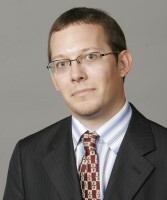 '00, Ph.D. '07), Professor of Political Science at the Univ. of Penn., discuss the 2016 presidential race and his forthcoming book, "The Increasingly United States." Join us for a happy hour event on Wednesday, June 1st, with young alumni from clubs across the city, including Cornell, Harvard, Stanford, Yale, Princeton, Dartmouth, Colgate, Penn, and more!!! Come hang out and meet new people at our young alumni brunch at The Dandelion on Saturday, May 21st. All are welcome. Join us for the first-ever Harvard Alumni Association Virtual Speakers Bureau event on Thursday, May 19th at 6:30 pm EST. 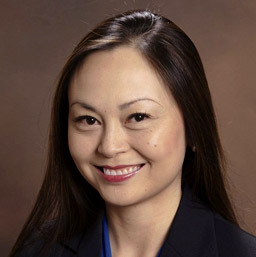 Connect with fellow alumnae/i around the world and have the chance to hear from Professor Caroline Light . . . 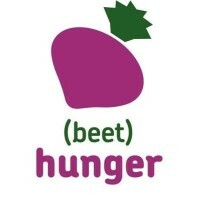 The next volunteering date at Philabundance is Tuesday, May 17th from 6:00-8:30 pm. Give back to our community by helping sort and pack food for distribution to local pantries. This event is open to all alumni!!! Not a recent grad but still feel like a young alum? For something new, join us for happy hour with alumni from the college classes of 1996-2006 at various schools! Come hang out and meet new people at our young alumni happy hour at City Tap House University City on Thursday, April 21st. All are welcome. 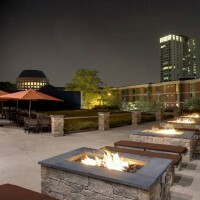 We will be around a fire pit!!! 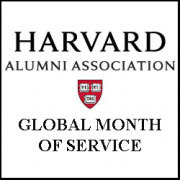 April is Global Month of Service. Give back to our community by helping sort and pack food at Philabundancefor distribution to local pantries . This event is open to all alumni!!! Back by popular demand, The Wharton Club of Philadelphia, along with the Philadelphia Alumni Club Partners; Harvard, HBS and Princeton, invite you to participate in the 2nd Annual Leadership Spring Seminar Series!!! with Director Peter Galison, Pellegrino University Professor of the History of Science and of Physics at Harvard University. This event is free and will be held at The Academy of Natural Sciences. Hear one of our own discuss a framework for profitable investment decisions! With both a Masters and Doctorate in Business Economics from Harvard, Pavel Savor will discuss "Scheduled Announcements: A Hidden Opportunity in Plain Sight." 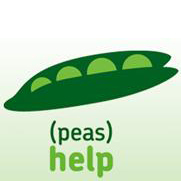 The next volunteering date at Philabundance is Tuesday, March 22nd from 6:00-8:30 pm. Give back to our community by helping sort and pack food for distribution to local pantries. This event is open to all alumni!!! 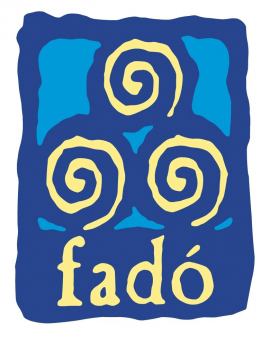 Often used to start a story, Fadó is an Irish term meaning ‘long ago’. 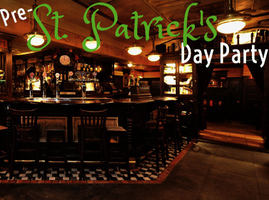 Start your story with The Ivy Plus Society's Pre-St. Patrick's Day Party at Fadó Irish Pub on March 10th. 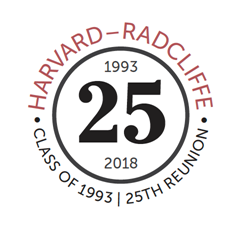 Join other local young alumni from Colgate, Harvard, Cornell, Yale, Princeton, Dartmouth, Penn and many more at McGillin's Old Ale House for a chance to catch up with old acquaintances and make new ones. Join us on February 24th at the Pyramid Club to hear Sydney Finkelstein, author of Why Smart Executives Fail, discuss his new book, SuperBosses, How Exceptional Leaders Master the Flow of Talent. 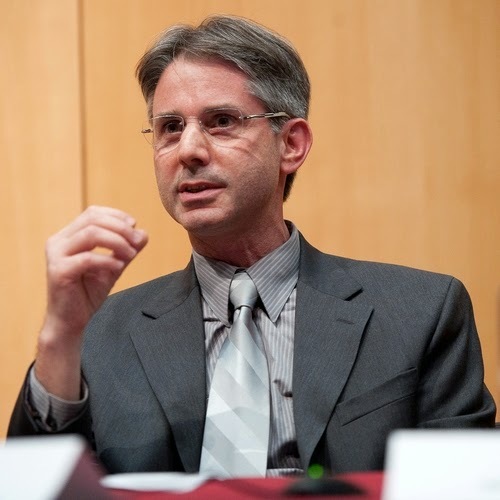 Join the Columbia and MIT Clubs for an enlightening speaking event with Dr. Michael Sparer, Professor and Chair of Health Policy and Management at Columbia University's Mailman School of Public Health. 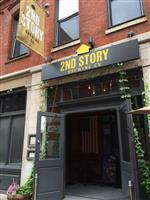 Young Alum Happy Hour at 2nd Story Brewing Co.
Join us for a happy hour event on Thursday, February 18th, with young alumni from clubs across the city, including Dartmouth, Harvard, Princeton, Colgate, Brown, Yale, Penn, Cornell, Columbia, Stanford, Georgetown, and more. 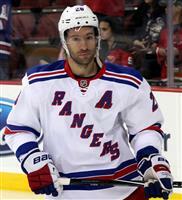 Join us on Friday, Feb. 5th to hear NY Ranger, Dominic Moore (AB '03), discuss going from Harvard to the NHL, then watch him play the Flyers the next day at the Wells Fargo Center. The next volunteering date at Philabundance is Tuesday, January 19th from 6:00-8:30 pm. Give back to our community by helping sort and pack food for distribution to local pantries. This event is open to all alumni!!! 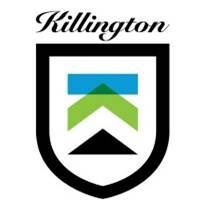 This year's All Ivy Ski/Snowboard Trip will be to Killington, Vermont. The numbers say it all: 7 mountains, 22 lifts, and 73 miles of trails. Plus the best nightlife in the East!!! EMAIL FREDERICK@LARCOMBE.US TO GET ON THE WAITING LIST! 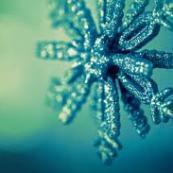 The next volunteering date at Philabundance is Tuesday, December 22nd from 6:00-8:30 pm. Give back to our community by helping sort and pack food for distribution to local pantries. This event is open to all alumni!!! 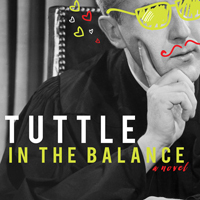 Funny LAW reading by Harvard '91, former SCOTUS clerk, and BU Law Prof Jay Wexler (and Philly lawyer Brian Foley) on Tuesday, Dec 15, 7:00 pm at the Philadelphia Ethical Society. Please join the alumni of the Columbia, Cornell, Dartmouth, Harvard, MIT, Princeton, Stanford and Wharton Clubs for a festive holiday party this season at Pennsylvania 6 (114 South 12th Street) from 6-9pm. Friends are most welcome to join!!! Multi-Club Holiday Party in South Jersey!!! The Cornell Club of Greater Philadelphia warmly welcomes you to us and other local alumni groups, including Harvard, MIT, Princeton, Stanford, and UPenn for a holiday happy hour in South Jersey. Connect with friends old and new for the holidays! Inter-Collegiate Holiday Party in Ardmore!!! 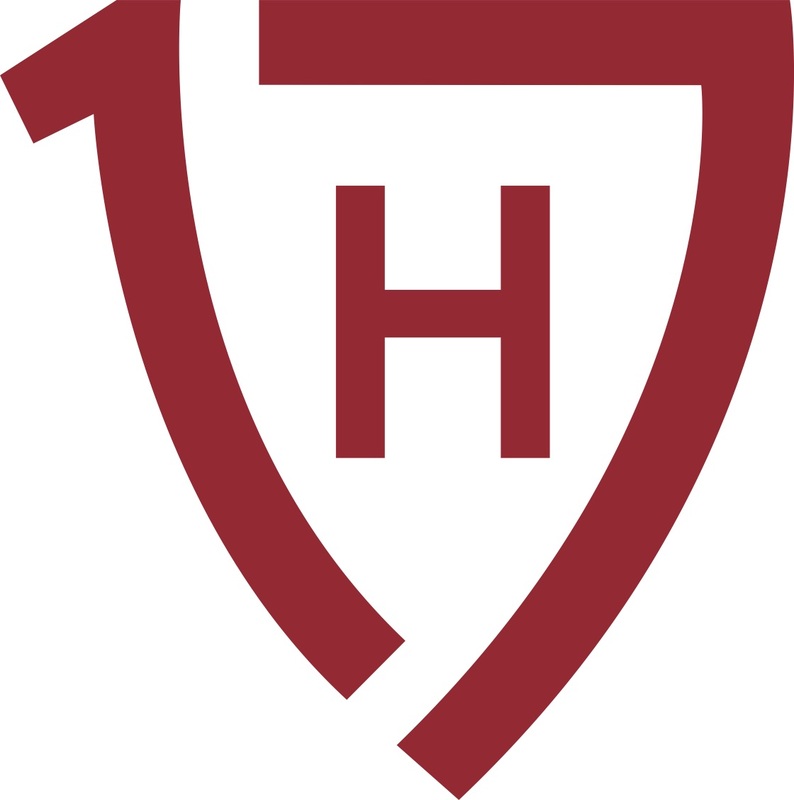 The Cornell Club of Greater Philadelphia warmly welcomes you to us and other local alumni groups, including Harvard, MIT, Princeton, Stanford, and UPenn to a cocktail hour at TIRED HANDS FERMENTARIA, the new brewery in Ardmore on the Main Line . . . The December Young Alumni Happy Hour will be at City Tap House (2 Logan Square) on Tuesday, December 8th from 6-8pm. Enjoy happy hour specials while you mix, mingle and meet young alumni from clubs across Philadelphia. 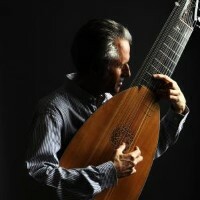 The Philadelphia Chamber Music Society invites Harvard alumni to hear world renown lute player, Hopkinson Smith (AB '72) perform at the American Philosophical Society on Friday, December 4th. Please join us on Wednesday, December 2nd, for dinner and discussion at the Rittenhouse Hotel in Philadelphia. 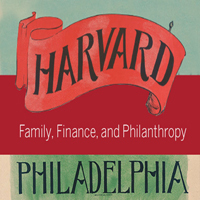 Engage in lively conversation on the topics of family wealth and governance, the Harvard endowment, and charitable planning techniques. Can't make it to New Haven this year? 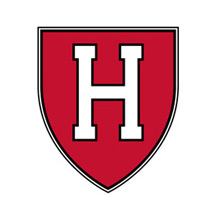 Come show your Crimson pride and join local fellow Harvard alums in watching the Game at the Fox & Hound in Center City. Sarah Jane Leslie, 1943 Professor of Philosophy at Princeton, will talk about her research, including recent experiments she has conducted about stereotypes and raw brilliance. 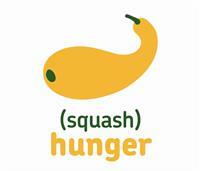 The next volunteering date at Philabundance is Tuesday, Nov 17th from 6:00-8:30. Give back to our community by helping sort and pack food for distribution to local pantries. This event is open to all alumni!!! Come cheer on the men's ice hockey team as they take on the Tigers at the Baker Rink in Princeton on Saturday, November 14th. The Club is purchasing a limited number of tickets to this game, which typically sells out. Reserve you tickets today!!! Dinner by the Decades PLUS Wine Tasting! 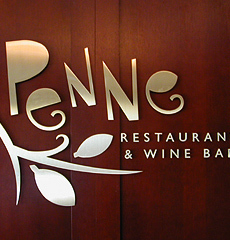 Join your fellow Harvard alumni for a spectacular evening of Dinner by the Decades PLUS Wine Tasting at Penne (The Inn at Penn). Marco Avigo, one of three master sommeliers in the entire state of Pennsylvania, has hand-selected . . . 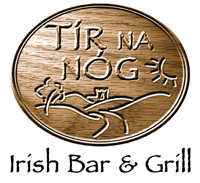 The next Young Alumni Multi-Club Happy Hour will be on Wednesday, Nov 4th, from 6:00-8:00PM at Tir na Nog (1600 Arch Street). 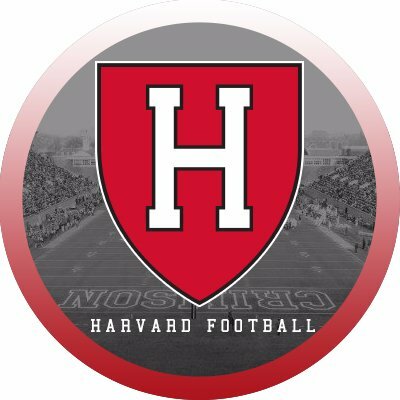 Join the Dartmouth and Harvard Clubs of Philadelphia at the Merion Cricket Club on Friday evening, October 30th to watch LIVE the Dartmouth vs. Harvard football game being played under the lights in Cambridge. Eat, Drink and be Scary!!! The Ivy Plus Society is pleased to announce The Black Cat Ball - the most terrifying and tantalizing event of the year. Philadelphia's Welcome to Your City event will be at Ladder 15 (1528 Sansom Street Philadelphia) on October 21 from 6-8pm. There will be drink specials and many new Philly transplants to meet! We look forward to seeing you!!! Philabundance is now a recurring event that will be held once a month. The next date is Tuesday, Oct 20th from 6:00-8:30. Give back to our community by helping sort and pack food for distribution to local pantries. This event is open to all alumni!!! The next Young Alumni Multi-Club Happy Hour will be on Thursday, October 15th, from 6:00-7:30PM at Buffalo Billiards (118 Chestnut St). Join us for the 2015-2016 Fall Opener at the College of Physician of Philadelphia on October 7th. The event will feature a panel discussion on "Bending the Cost Curve in Medicine" with local Harvard experts. 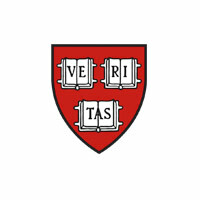 HarvardKey is Harvard’s new secure credential for accessing University-wide applications and services, and will also be the login for any transactions or password-protected access to our Club's website. The next Young Alumni Multi-Club Happy Hour will be on Wednesday, September 2nd, from 5-7PM at Jose Pistolas (263 S. 15th St) on the 2nd floor. 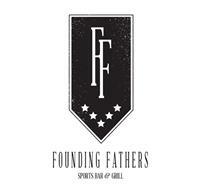 Come enjoy a great selection of craft beer, drink specials, and the best nachos in the city! On behalf of the Board of Directors, it’s my pleasure to welcome you to the 2015-16 academic year. I invite you to help us make this a year to remember! It will certainly go down in the annals of Harvard history as such . . .
Join young alums at Philabundance on Tuesday, August 18th to give back to our community by helping sort and pack food that will be distributed through a network of 500 food cupboards, emergency kitchens, and shelters. Alum of all ages welcome!!! The next Young Alumni Multi-Club Happy Hour will be on Thursday, August 6th, from 6-8PM at Fado Irish Pub (1500 Locust Street) in the Victorian Room. There will be $4 draft beer, $5 house wine, $5 well drinks and $5 appetizers. Hope to see you there! 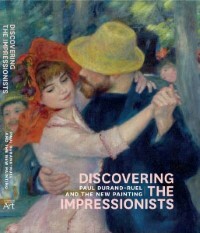 Join us on Friday, July 31st at 6:30pm for Discovering the Impressionists exhibit at the Philadelphia Museum of Art. Attention all baseball fans!!! Join the Harvard Club of Princeton to see the TRENTON THUNDER ON SATURDAY, JULY 11TH, from the comfort of a private luxury suite. Join us for a happy hour with young alumni from clubs across Philadelphia, including Harvard, Dartmouth, Princeton, Brown, Yale, Penn, Cornell, Columbia, and more. 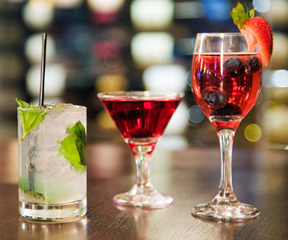 Enjoy happy hour specials while you mix, mingle and meet new people. 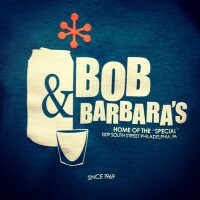 Join us and other young alumni clubs in the area for happy hour at Bob & Barbara's Lounge (1509 South Street Philadelphia, PA 19146) on June 26th at 6pm. See you there! 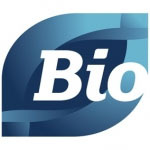 HBS Healthcare Alumni Association has invited us to join them at their reception at the Bio Conference in Philadelphia. See old friends! Make new connections! Join GSD alumni and leaders of the Charter High School for Architecture + Design (CHAD) for a networking breakfast. Connect with alumni, learn about this unique school, and preview an exhibit of student design work. Open to all alum! Join us for a Young Alumni Rooftop Happy Hour at Continental Midtown (18th and Chestnut) on May 21 at 6pm! If raining, we will be at the inside bar. See you there! 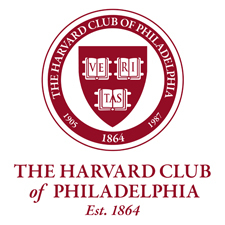 The Columbia Club of Philadelphia invites Harvard Radcliffe Club members to join them for a special presentation and panel discussion on examining risks and opportunities in today's complex investment environment. 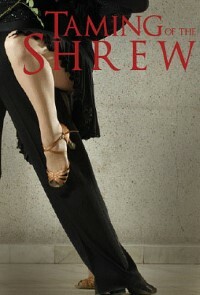 Join us on April 19th at 2pm at the Lantern Theater for a unique Tango-filled interpretation of Shakespeare's Taming of the Shrew followed by happy hour at Moriarty's. In support of the HAA Global Month of Service, we will be joining the MIT Club of Philadelphia in cleaning up Darby Park, part of the Heinz National Wildlife Refuge. Come hear Richard Shell, the Wharton School's Thomas Gerrity Professor and Director of The Wharton Strategic Persuasion Workshop, explain how to sell your ideas through the use of relationship-based influence. The Art of Woo! Join us and other young alumni clubs in the area for happy hour at Field House (1150 Filbert St) on April 1st, 6:30-8:30pm! Join the Wharton Alumni Club of Philadelphia to experience Calm Clarity and provide feedback to tailor it to the needs of professionals and executives. 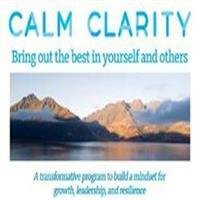 Calm Clarity is an innovative program designed to show you how the mind works . 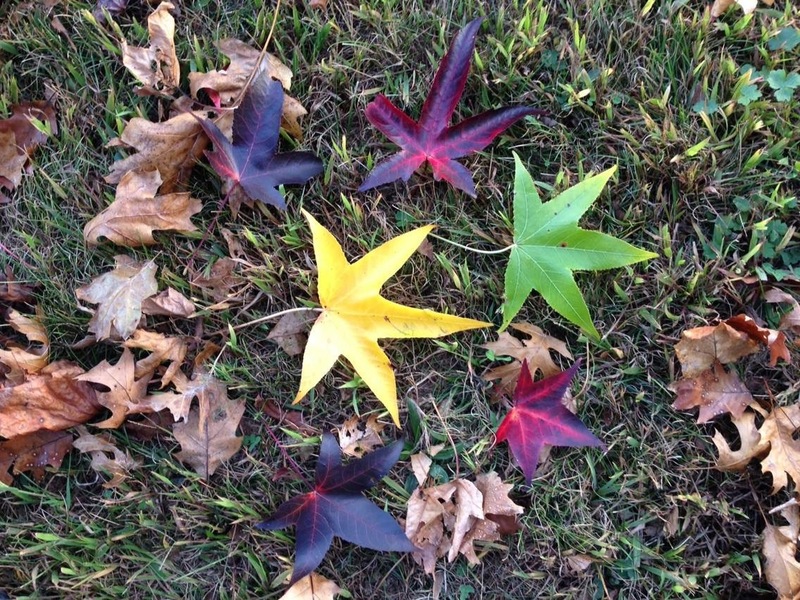 . .
Join other alumni at this "Community Favorite" event at 333 Belrose in Radnor. 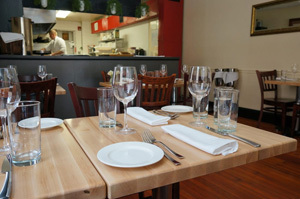 Voted the 2010 Best Chef by Main Line Today Magazine, Carlo deMarco is recognized as a local culinary gem . . .
Not a recent grad but still feel like a young alum? 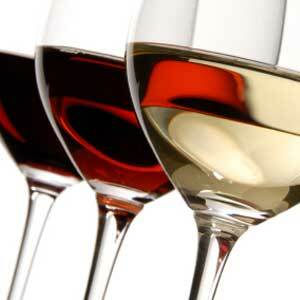 For something new, join us for happy hour with alumni from the college classes of 1995-2005! Connect with old & meet new friends in this awesome alum group at City Tap House in Logan Square. The Wharton Club of Philadelphia; along with Philadelphia Business Alumni Club Partners Drexel, Harvard, La Salle and Princeton invite you to participate in the 1st Annual Leadership Series - Spring Saturday Seminars! 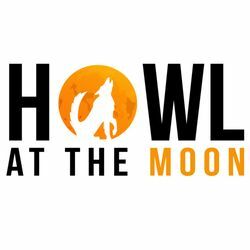 Young Alums - Escape the Room!!! Always wanted to be a detective? Love mysteries? 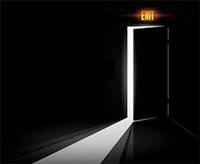 Sign up for our next young alums event: Escape the Room!!! Nearly five years ago, the HBS Club hosted a panel discussion on the job market for Greater Philadelphia. Fast forward to 2015 and an apparent improvement in job prospects appear to be on the landscape for a number of industries, but . . .
Mark your calendars for March 4th and join young alums from local alumni clubs at the Founding Fathers Sports Bar & Grill. Feel free to bring others!!! The Wharton Club of Philadelphia; along with Philadelphia Business Alumni Club Partners Drexel, Harvard, La Salle and Princeton invite you to participate! Amy Chua, author of Battle Hymn of the Tiger Mother, will discuss her new book, The Triple Package, and the three unlikely traits that explain the rise and fall of cultural groups in America, in a talk that could change the way you think about success. 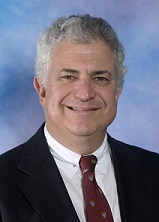 Join the HBS Club to hear Howard Brownstein, President of The Brownstein Corporation, discuss “When Bad Things Happen to Good Companies.” -- his collection of "war stories" about what can (and often does) go wrong in business. Get out of the cold and stop by City Tap House's new location in Center City for our February inter-club happy hour! 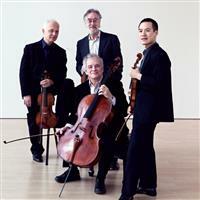 The Philadelphia Chamber Music Society invites Harvard University alumni to hear the Juilliard Quartet w/ Harvard grad Joe Lin (AB '00), first violinist and featuring Leon Fleisher, piano on Sunday, January 25th at the Kimmel Center's Perelman Theater. 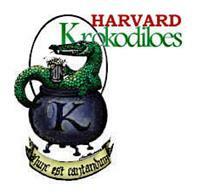 Come hear the Harvard Krokodiloes perform at the String Theory School on Friday, January 16th. The Krokodileos are Harvard's oldest and most prestigious a cappella singing group, perform popular music from the 1920's, 30's, 40's, 50's, and 60's. Our destination is Whiteface Mountain in Lake Placid, NY which hosted 1932 and 1980 Winter Olympics. 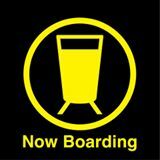 Our private motor coach will make pick-ups in Philadelphia, Princeton, and Morristown. 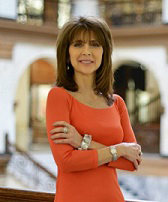 Join founding Dean Donna De Carolis, as she introduces us to the Charles D. Close School of Entrepreneurship on the Drexel University campus in downtown Philadelphia. 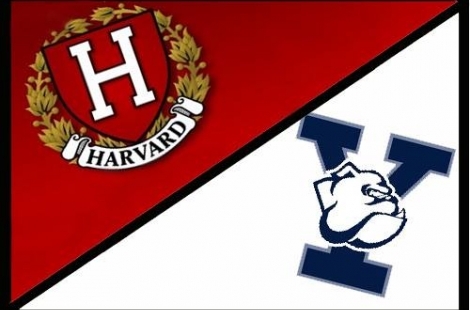 The Harvard Men’s Hockey team challenges archrival Yale in one of college sports’ most storied rivalries, for the second installment played at one of the world’s most famous arenas. 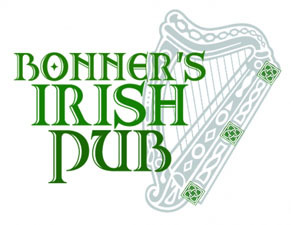 Come meet with friends, old and new, at our January inter-club happy hour! Young Alums Holiday After-Party at O'Sheas!!! 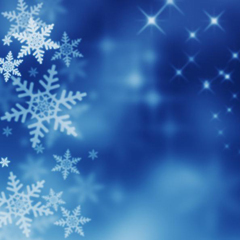 Keep the festivities going by joining other young alums at the holiday after-party! Meet new people and catch up with old friends. 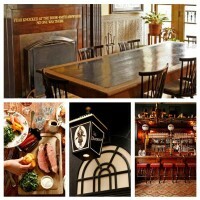 Starting at 8pm, the party moves to O'Sheas Pub, 1907 Sansom, just around the corner from One Tippling. Multi-Club Holiday Party at One Tippling!!! Please join the alumni, young and old, of the Brown, Columbia, Cornell, Dartmouth, Harvard, Princeton, and Yale Clubs for a festive holiday party this season! Friends are most welcome to join. 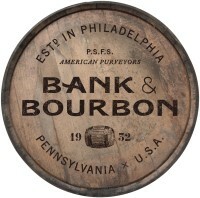 One Tippling Place, 2006 Chestnut Street, 5-8pm. Then . . .
Come cheer on the men's ice hockey team as they take on the Tigers at the Baker Rink in Princeton on Friday, December 5th. Mark Altmeyer (MBA '88), Chairman of Otsuka Pharmaceuticals will share his thinking on "Thrive or Survive - The Path for the Pharmaceutical Industry" on Friday, December 5, 2014 at the Union League. Join us for the next informal happy hour and get to know other young alums! New Harvard alums and recent grads always welcome. Feel free to bring friends! Can't make it to Cambridge this year? Come show your Crimson pride and join local fellow Harvard alums in watching the Game at the Fox & Hound Pub in Center City! 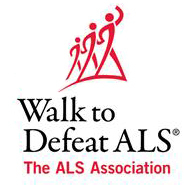 Bring your determination, your energy and your passion in support of the Walk to Defeat ALS. Join Harvard Alumni for the ALS walk on Nov. 15th at Citizen's Bank Park. Join a number of other alumni clubs in the area for our next happy hour at BRU Craft & Wurst!!! 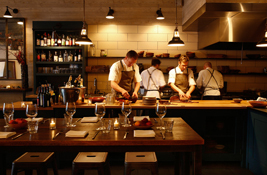 Dinner by the Decades will be held at High Street on Market, the No. 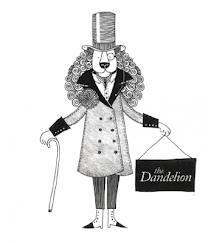 2 new restaurant in the country by Bon Appétit magazine, where Chef Eli Kulp (of Fork renown) will present delightful unexpected food combinations.